The nation’s oldest indoor shopping mall The Arcade was recently renovated into 48 micro-loft units. The historic building built in 1828 is located between 130 Westminster St and 65 Weybosset St in Providence, Rhode Island’s financial district. It was officially declared a National Historic Landmark in 1976 and added to the list on the National Register of Historic Spaces. 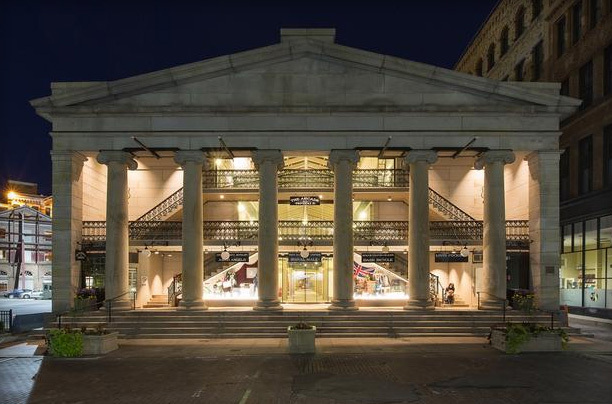 The building features Greek revival columns, granite walls and an atrium with a skylight. It has been recognized as one of the best examples of Greek revival architecture in Rhode Island. Until its recent renovation the building housed retail shops. Due to the past economic recession many nearby offices in Providences financial district became vacant, leading to little economic income for the shop owners and eventually forcing the building to close. The building’s fate was feared and in 2009 added to Providence Preservation Society’s “10 Most Endangered Building List”. Evan Granoff, owner of The Arcade did not release his plans for the building upon its closure, which lead many to question the building’s fate. In 2012 Granoff presented his plans to turn the building into modern micro-lofts with a $7 million dollar budget and goal of completion by the fall of 2013. Granoff worked with architect J. Michael Abott to change the second and third floors into 48 micro-loft units and maintained the first floor as a retail shop area. The building was completed in the fall of 2014 and ended up costing a total of $10 million dollars. Granoff’s vision was to target the large market of college students and young professionals in the area, who could benefit from affordable housing. The city of Providence, happy the historic building was saved, reduced the buildings property tax for approximately a decade. This allowed Granoff the ability to charge less for rental space. Today, with a wait-list of 4,000+ The Arcade houses 48 micro-loft units with rents starting at $550 per month. Of these units 46 are one-bedroom and start at 225 sq feet. Each unit comes with a built in bed, full bathroom and shower, dishwasher, microwave, half-size fridge and access to shared storage, laundry and a common area. The units due lack a stove, however the retail floor below offers quick access to cafes and coffee shops. 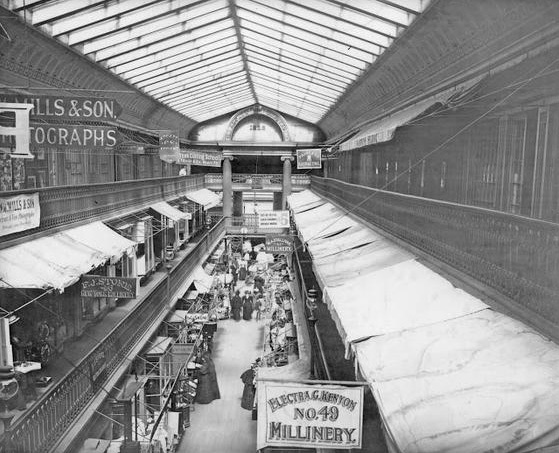 This historical building was one of the first of its kind, an indoor shopping center housing several stores in one building. Ironically it is now one of the first to house several micro-lofts. The design has attracted attention not only from preservationist but also museums. It has been award by Grow Smart Rhode Island the 2014 Outstanding Smart Growth Award, featured in an exhibit at the Museum of the City of New York and also awarded a 2014 Rhody Award. The Arcade is a perfect example of how we can live in our past. 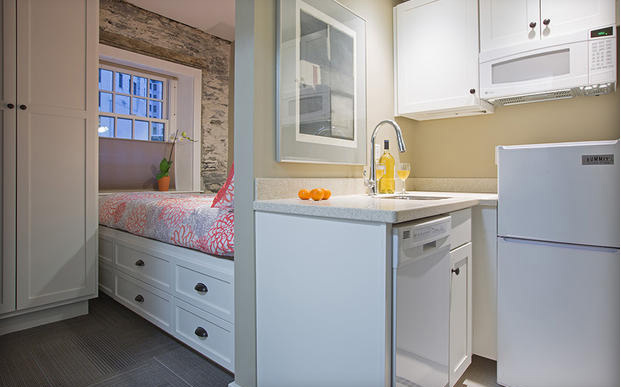 Preserving does not mean taking away modern conveniences, which the micro-lofts have revealed.